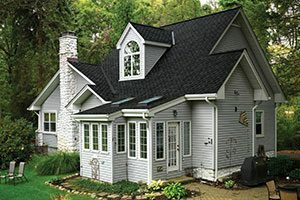 These affordable, great-looking shingles are part of the GAF Lifetime Designer Shingles series. We don’t know of anywhere else that you can get the industry’s best warranty in a beautiful wood-shake look, at a fraction of the price of wood or metal, along with the peace of mind that knowing your roof withstood UL 2218 Class 4 Impact Testing. What does a Class 4 Rating really mean? Well, it means that your new roof shingles have withstood tests that drop a two-inch steel ball from 20 feet onto your shingles, and they suffered zero cracks or ruptures. With those results, you can have confidence that your roof is a match for anything Mother Nature can throw at it. 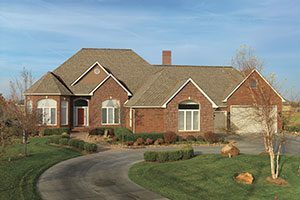 Standard shingles easily suffer cracks and ruptures from large hail impact. 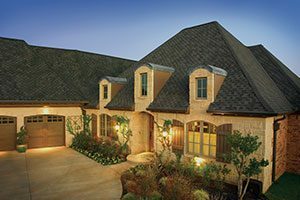 These durable, beautiful shingles offer value that you just won’t find anywhere else. 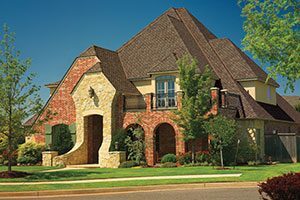 Give us a call or stop by the showroom to learn more about Grand Sequoia Armourshield Shingles for your home.